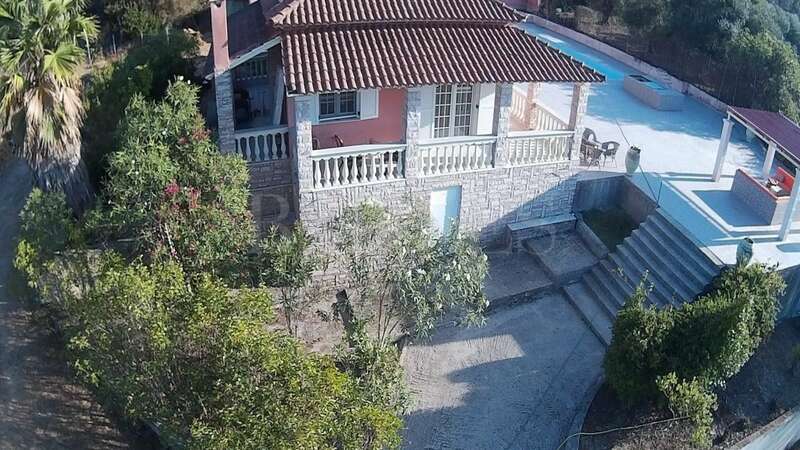 A magnificent under-development project of a villa in the famous seaside resort Nydri, on the island of Lefkada, well known for its beautiful marina at just 2km distance from Skorpios island. In a large plot of 5205sq.m. with panoramic sea view, the project consists of a modern villa of total area 215sq.m. in 3 levels with a swimming pool of 86sq.m. At the pool level the villa includes 4 bedrooms with en-suite bathrooms. On the main level there is a living room with a wonderful sea view, a modern open plan kitchen and a dining area, a toilet room and 2 bedrooms, one with a private bathroom. At the top level there will be a master bedroom with a walk-in-closet and panoramic sea view. The villa will also offer large outdoor lounge areas around the pool, a covered dining area and an outdoor kitchen. The property will also provide a parking space for 2 cars. The villa can be fully customized according to the needs and the preferences of the future owner. Lefkada is a beautiful verdant island on the Ionian Sea with numerous bays and amazing beaches. Although less well known than Corfu and Kefallonia, and despite its small size, Lefkada hosts some of the most extraordinary landscapes in Europe.